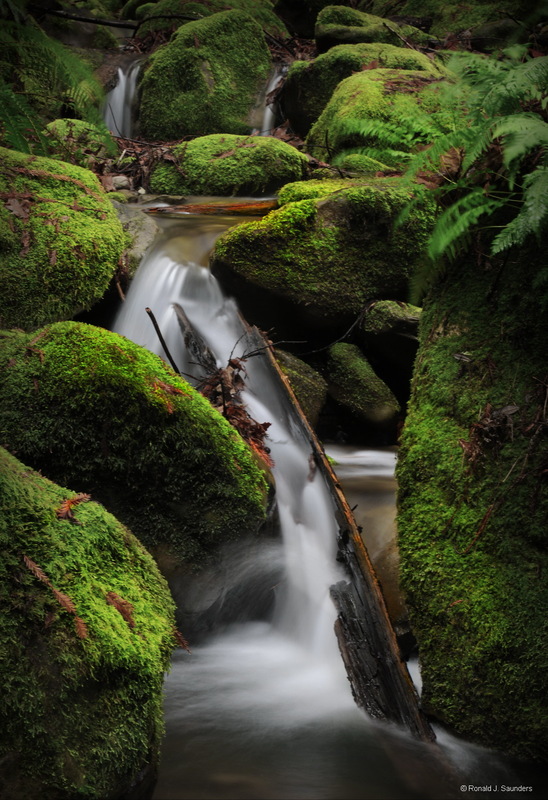 I found this beautiful spot in a grove of redwoods in March of 2012. There is a hollow, redwood log that acts as a conduit for the water in the falls. It is my favorite of five different images that I have chosen from his location. All of them are available as prints. Photo © copyright by Ronald J. Saunders.